In this photo Rubinoff is holding one of the most precious instruments in the world. A Stradivarius violin, which is insured for $100,000. Satisfying a life-long ambition, Rubinoff aquired the “Strad” after searching for several years. He had tested many old and valuable violins, placed at his disposal by music dealers and collectors. but none were just right. The Rubinoff-Stradivarius, as it is known, sent him into raptures. Made in 1731 by Antonio Stradivari in Cremona, Italy, the instrument in time passed into the hands of the Romanoffs, the reigning family of Russia until the revolution. It disappeared during that time of stress but turned up later in Paris in the possession of a former Russian prince who had taken the valuable instrument with him when he fled the country. The violin bears the elaboratly engraved and bejeweled coat of arms of the Romanoff family as well as the identification mark of Stradivari and the date. The instroument is of a deep brownish-red lustre, perfecty formed and developed in all its intricate detail in a manner representative of the best work of the master. is a phrase frought with magic in the musical affections of a whole nation, a phrase that radiates sheer tonal enchantment. The silken strains that emanate from Rubinoff’s two-century old Stradivarius, over which he glides with caressing nuances and his unique symphonic interpretations of popular music bring a welcome warmth and vigor to the concert platform. (The People’s Choice) is how the Chicago Herald & Examiner described this electrifying artist. Rubinoff, the son of poor parents, was born in Russia on September 3, 1897. 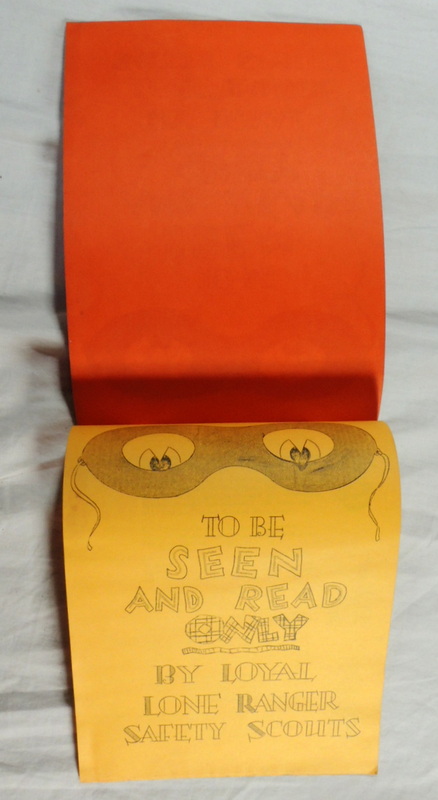 He had only his natural inclinations and his mother’s devotion to set him on the road to fame. He was five when his mother presented him with a special small-sized violin. Such was his aptitude that within two years he was reguarded as a prodigy. Before long both the Capitol and Paramount Theaters in New York emblazened Rubinoff’s name on their marquees. Rudy Vallee, one of the shrewdest talent scouts of all time realized that radio was the medium that would bring Rubinoff’s talent the audience that deserved. 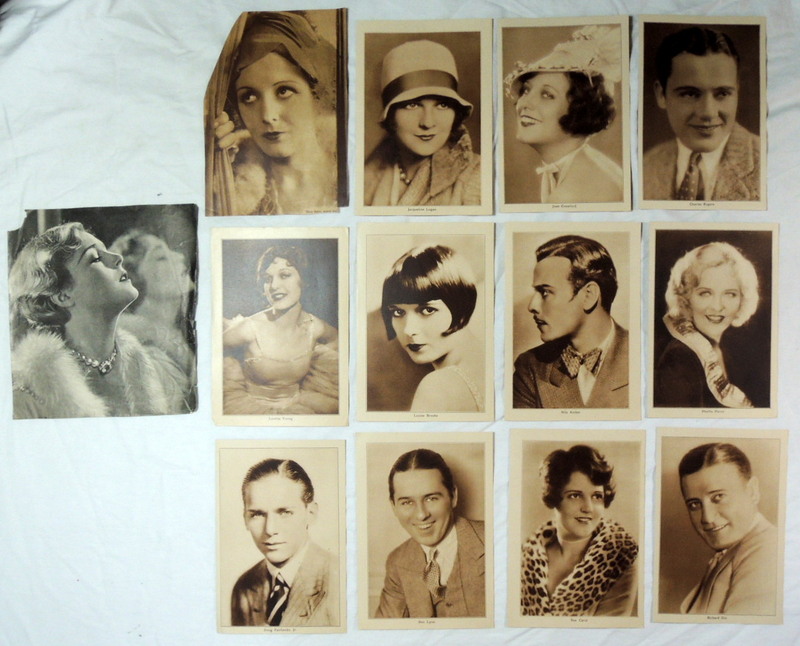 Soon milliions of people were delighting to Rubinoff and his violin on such famed broadcasts as the Chase and Sanborn Hour, the Rexall, the Pebeco, and the Chevrolet programs. 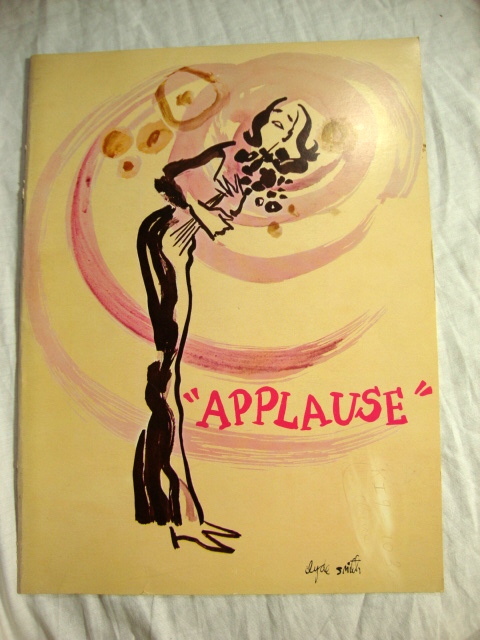 It might be noted incidentally that among those who responded to Rubinoff’s baton on these shows were such latterday giants of popular music as Benny Goodman, Artie Shaw, Tommy Dorsey, and the late Glenn Miller. The Chicago Herald & Examiner did not dub Rubinoff The people’s Choice without good reason. 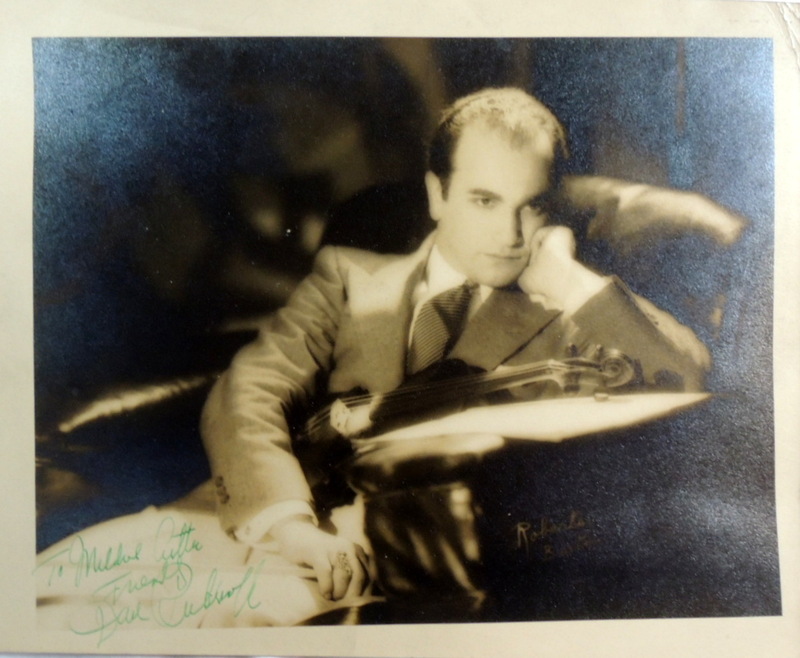 Having heard him at an open-air concert in Grand Park that drew the largest audience in the annals of American concerts the Herald & Examiner concluded its front page acclaim by observing (He is a dynamic personality that sets audiences on fire!). George Frazier, Life Magazine’s brilliant entertainment editor echoed this view when he wrote Rubinoff is undoubtedly one of the handful of authentically great showmen now on earth. 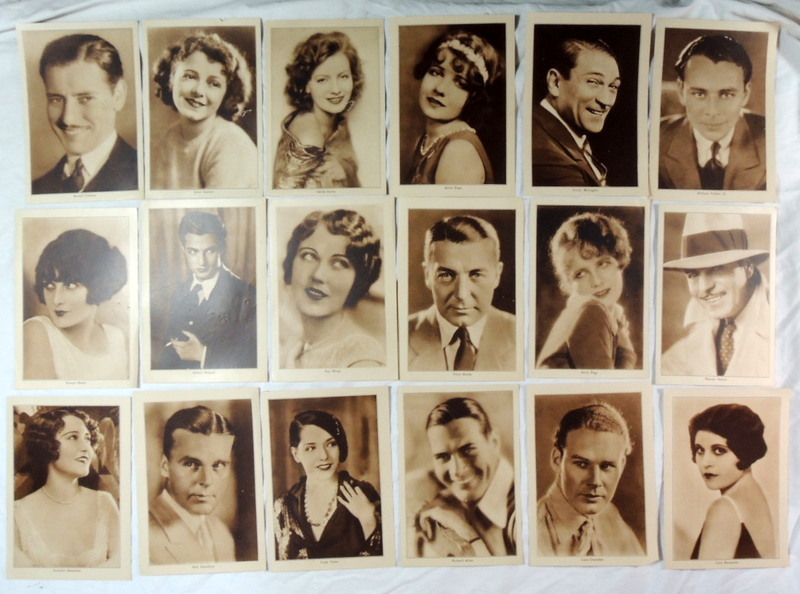 Sepia-toned black and white images reproduced on paper featuring Hollywood Stars of the period. 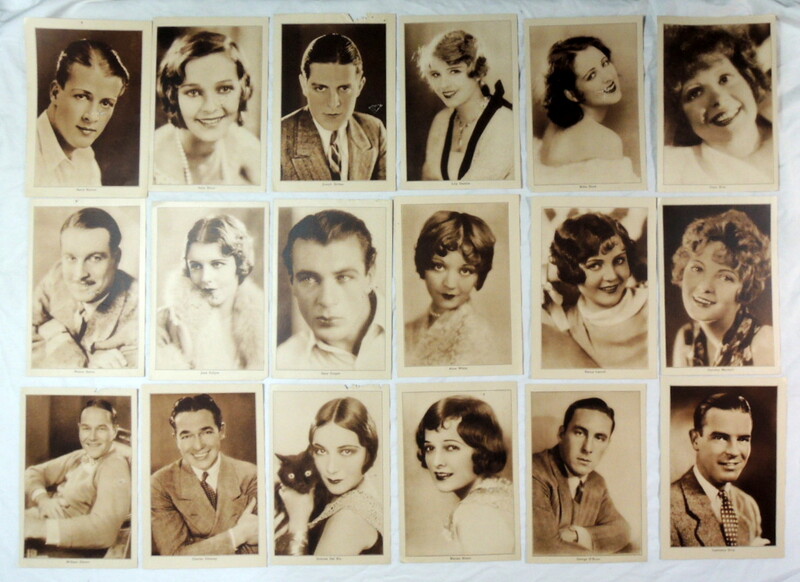 Jacqueline Logan, Billie Dove, Lily Damita, Joseph Striker, Sally Blane, Barry Norton, Clara Bow, Phyllis Haver, Loretta Young, Sue Carol, Doug Fairbanks Jr., Ben Lyon, Richard Dix, Louis Brooks, Nils Asther, Joan Crawford, Charles Rogers, Richard Arlen, Lane Chandler, Lina Basquette, Lupe Velez, Neil Hamilton, Dorothy Sebastian, Evelyn Brent, Gilbert Roland, Anita Page, Warner Baxter, Clive Brook, Fay Wray, Ronald Colman, Janet Gaynor, Anita Page, Greta Garbo, William Collier Jr., Victor McLaglen, Marian Nixon, George O’Brien, Lawrence Gray, William Haines, Dolores Del Rio, Charles Delaney, Nancy Carroll, Gary Cooper, Dorothy Mackaill, Walter Byron, June Collyer & Alice White. 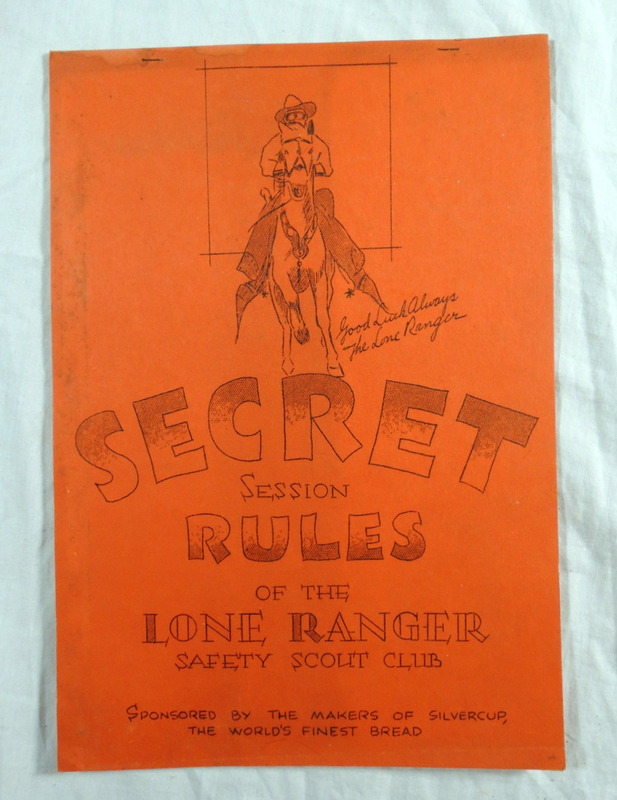 One of the earliest Lone Ranger premiums is the Silvercup Bread manual entitled SECRET SESSION RULES OF THE LONE RANGER SAFETY SCOUT CLUB. 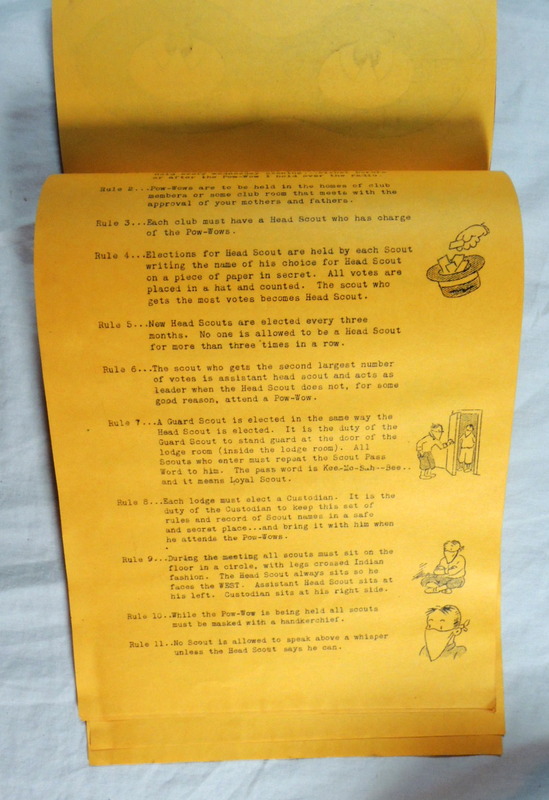 An unusual manual, apparently not sent to ordinary members but only to full-fledged Head Scouts or Club Presidents! 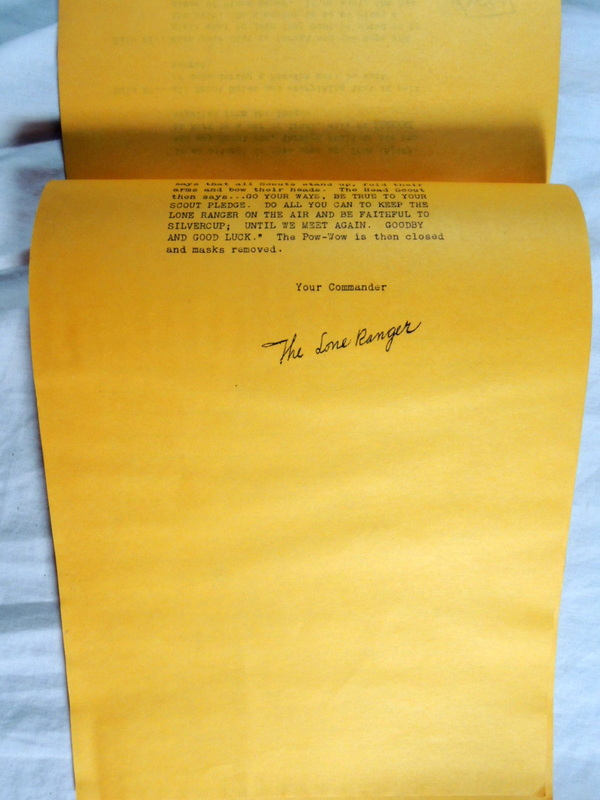 This is arguably the most important Lone Ranger premium! 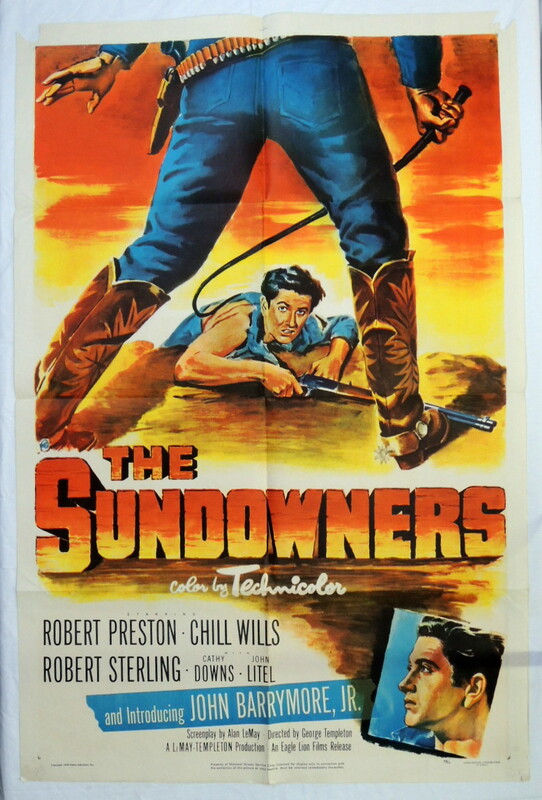 ‘The Sundowners’ 1952 Western Movie Poster with John Drew Barrymore Jr.